Much like the NV Lineup, the online experience had to reflect a new way of doing things. 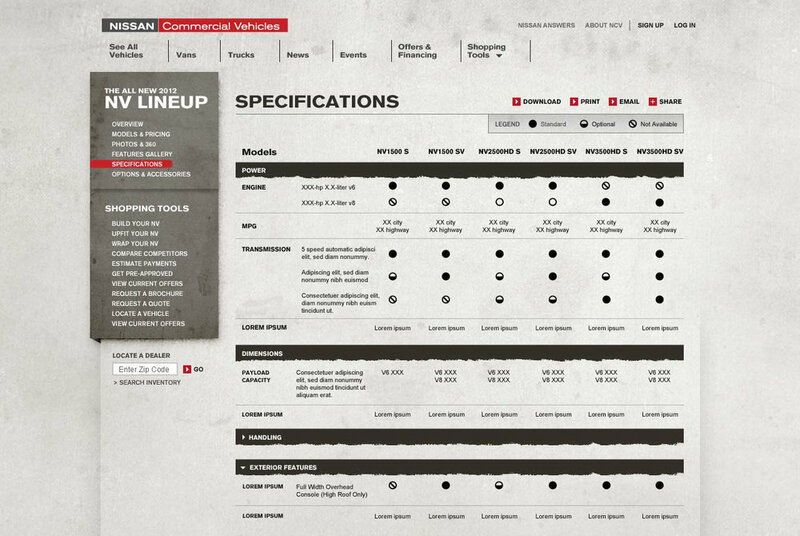 In addition to art direction and designing the standard brand website, I also lead coordination efforts with three separate technology vendors to build an all-in-one configurator. 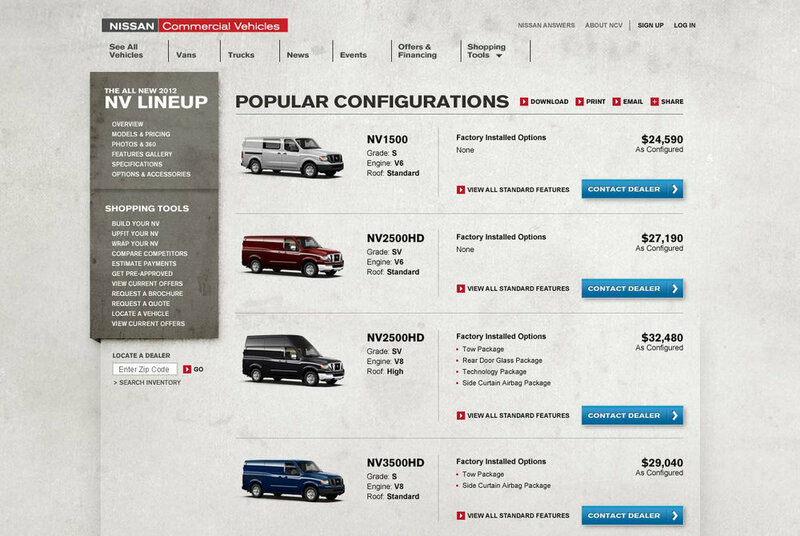 The results lead to an experience where customers could customize their work vehicle from model selection to interior organization and logo application in one stop. 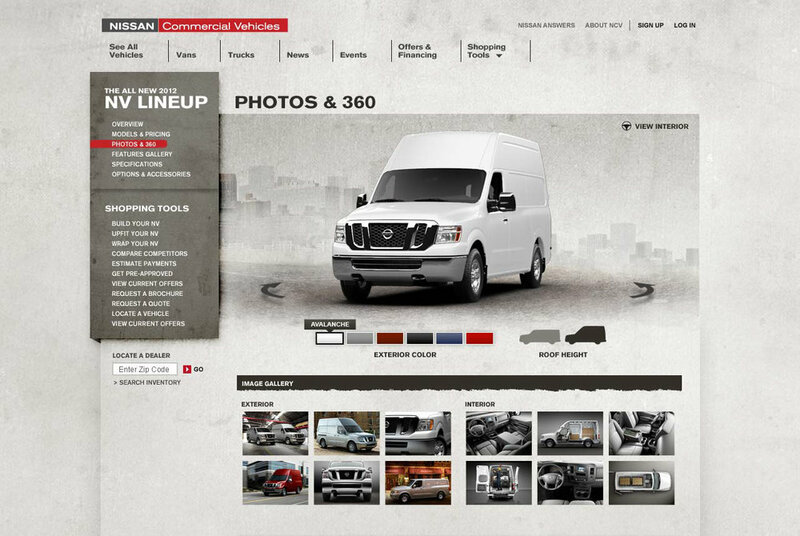 Nissan also took our visual direction and used it for all other applications of their commercial vehicle brand.